Full-color bandana with Bass Center CO design. So I live in Hawaii now since a year ago, but I am from Colorado. I was going to summer gathering this year and I bought this AWESOME bandana and it came in faster than I thought looking PERF as expected. Yeah, I forgot to bring it with me, I was vury sad. 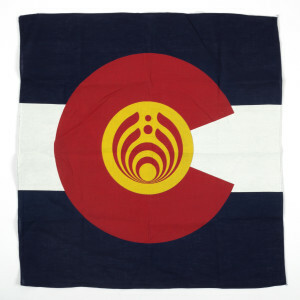 To sum everything up, this bandana is so awesome I definitely recommend and if you buy it don’t forget to bring it with you to your next nectar show! !